Calvino doesn’t appear to have subscribed to this credo himself, however, and never ceased to issue judgments and statements about his work. The assertion that critics should ignore them is just another judgment or statement, but it does serve to introduce two central problems for the reader of his letters. First, there is his disconcerting involvement with his critics and his attempts to influence the conversation about his work. Second, there is the problem of published correspondence in general. Letters express ephemeral states of mind; they may be ill-conceived, poorly considered, instantly regretted. As Calvino says, “The letter is another text that adds doubts, problems, contradictions to the others that the scholar has to solve.” In that case, why read his letters at all? As for the biography, critically relevant or not, it is easily dispatched. In 1923, Calvino was born in Cuba, where his parents were working at an agricultural-research center founded by his father, but the family moved to San Remo when Calvino was an infant. He fought with the Italian partisans in the final years of World War II, became a communist, and later resigned from the Communist Party without disavowing his political convictions. He worked for most of his life on the editorial staff of the Einaudi publishing house, married an Argentine translator named Esther Judith Singer, and lived with her and their daughter, Giovanna, in Turin, Paris and Rome. Meanwhile, he wrote his books and eventually became one of the most famous and well-regarded Italian novelists of the twentieth century. He died suddenly in 1985. Positive or negative, these letters reflect an intense belief in the importance of discussion. “Dear Silvio,” he writes in 1948, “I’m pleased we’re arguing. It’s a healthy symptom, for goodness’ sake! It means there’s life and movement and dialectic.” Ten years later, he tells a critic that “our job [as fiction writers] is basically to raise problems for you to solve.” Throughout his life, an article that forces him to reconsider his ideas is cause for celebration: “Rarely (not to say never) does one come across a critical article which stirs up so many ideas, all of them different from the usual rehashed notions, and forces us to rethink everything from scratch.” He keeps up with developments in literary theory and admires Northrop Frye, Claude Lévi-Strauss and Roland Barthes. He wants to chart “lines of continuity” between the fiction of his youth (“Hemingwayism, spare stories, with a final shoot-out”), his early “fantasy-moral novels or lyrical-philosophical novels,” his cosmicomic stories and the “preciosity, Alexandrinism, the prose poem” of Invisible Cities. Calvino wants himself explained to himself. He wants to understand what his writing means, and he believes that criticism can tell him. The problem is not that Calvino says these things; the problem is that he means them. He says disingenuously that the “discussion of ideas is not my forte”—but the tension between these “ideas” and the alchemy of fiction is the definitive antagonism of his career. He says that he “became a writer through the columns of the Party press” and that “the very poverty of Communism’s official literature acted as a spur to me to try to bring a touch of creative felicity to my work as a writer,” which is to say that he learned to write by trying to reconcile theoretical discourse with felicitous prose. Even his claim that his “way of saying things is to write stories” seems to point to this dynamic. He is not just writing; he is trying to say things. The tension between ideas and art is most explicit in The Complete Cosmicomics, a series of playful stories that Calvino penned during the last twenty years of his life. In a sense, the cosmicomic stories consist of ideas and ideas alone: most of them are narrated by a numinous jokester called Qfwfq—who is present for every significant cosmological, geological and biological event in the history of the universe—and most of them develop as the lyrical embodiment of a real or apocryphal scientific idea made explicit in an introductory note. Throughout the collection, the best stories are those in which scientific ideas, overly explicit as they are, become a comic or lyrical trope, part of the fabric of the writing, a means and not an end. This holds true for Calvino’s other work as well. The Castle of Crossed Destinies has the rigorous lucidity of a mathematical proof, but for me it is an unreadable book; it is nothing more than its idea. The Nonexistent Knight may not be a political allegory, but there is something off or out-of-focus in its metaphysical games. It turns in on itself; it seems like an allegory. I felt defeated by the strangeness of this letter, but then, almost accidentally, I read “Smog” itself, which had for me the force of a revelation. The story is wiser and fuller than any account or analysis of it could be. There is the moment when the narrator discovers that his upper-class girlfriend can’t see the smog. There is the narrator’s obsession with dust and dirt, the medium in which he lives, and his attempt to shield her naked body with his own, “an embrace which was chiefly a way of covering her, of taking all the dust upon myself so that she would be safe from it.” And then there is a scene in which he goes to a party at which the president is cavorting with other factory owners. “I now realized how senseless my game was, because [the president] himself was the smog’s master; it was he who blew it out constantly over the city, and the [institute] was a creature of the smog, born of the need to give those working to produce the smog some hope of a life that was not all smog”—here is the moment when the story might turn on banal excoriation, a condemnation of the president’s hypocrisy, and does not—“and yet, at the same time, to celebrate its power.” There are no “moral beliefs” in that mysteriously poignant, mysteriously comic phrase, “to celebrate its power.” The language moves beyond ideas. The important thing is that what Calvino says about “Smog” is valid and resonant. The other important thing is that what he says is beside the point. The story retains an allegorical shimmer, but it has drifted free of its milieu. It is no longer a story about the Italian workers’ movement. It is a true, human story, and it is valuable and beautiful on that basis. The letters exist at the crossroads of fiction and criticism, and they are interesting to the extent that they clarify these two ways of saying things. 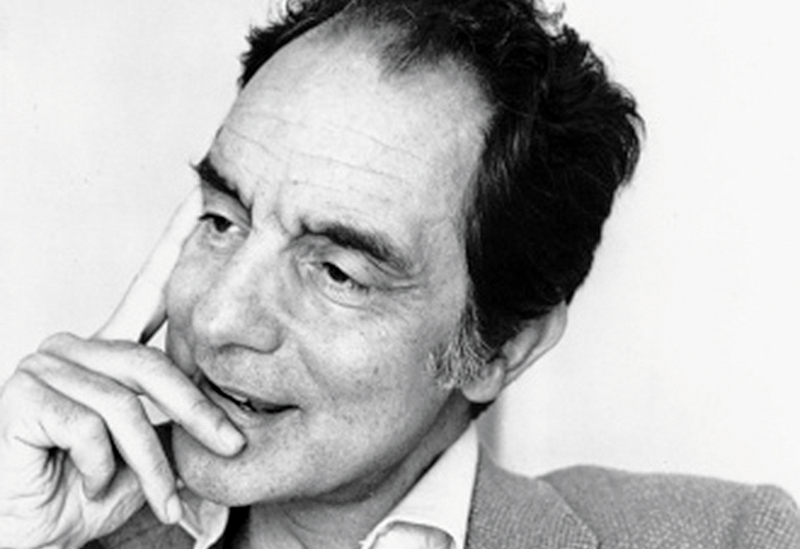 Calvino makes pronouncements about his work, and they are often persuasive, and this is, after all, one of his jobs: he is a critic and editor himself, and he is trying to articulate his beliefs as clearly as possible. But he has also seen his ideas vanish into art, and he has watched his fiction acquire its own life and dictate the terms of its unfolding, so his task is also to meditate, articulately or inarticulately, on the impossibility of saying things. Nothing can be said, but that doesn’t mean nothing can be communicated. It is true that the letters do not reveal that “secret, second Calvino” whom we so much want to meet, but in the end it doesn’t matter. There he is in Invisible Cities. He is the man gesturing at Kublai Khan with a fish, and he is the fish itself, and he is the naked man running through fire. He is all of these things and, of course, at the same time he doesn’t exist, and that doesn’t matter either.